I’m the founder of 1stChoice Tutors. I love encouraging students by sharing knowledge through love and compassion. In doing so, I help each student reach his/her highest potential. 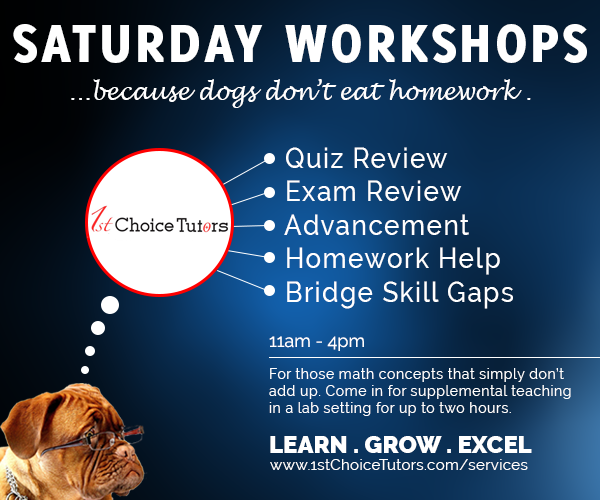 I tutor 6-12 Math, SAT Prep, & ACT Prep courses. I graduated with a B.S. degree in Technical Communication (IT) from Southern Polytechnic State University (now Kennesaw State) and I do freelance work as a Front-End Web Developer and Instructional Designer. You can check out some of my work here.